Discover entertainment and great international and national dinners at the Tropical Hotel Manaus. Enjoy entertainment and luxurious dining with the magnificent rainforest as the backdrop. Other times : (92) 2123-5000. You will find a great selection of Brazilian foods in the two restaurants of Tropical Manaus Ecoresort. Tucano Restaurant offers Brazilian cuisine specialties as well as international cuisine. Choose from the different bars at Tropical Manaus Ecoresort options for drinks and light meals. At Tropical Manaus Ecoresort, you'll enjoy the best of both worlds on your vacation in the Amazon - an extraordinary experience in the rainforest with Brazilian food and entertainment at the best of Brazil's hotels. With the best entertainment and the best services among hotels in Brazil, Tropical Hotel Manaus offers a light gastronomy to its guests and a bit of Brazil's nightlife in its bars. 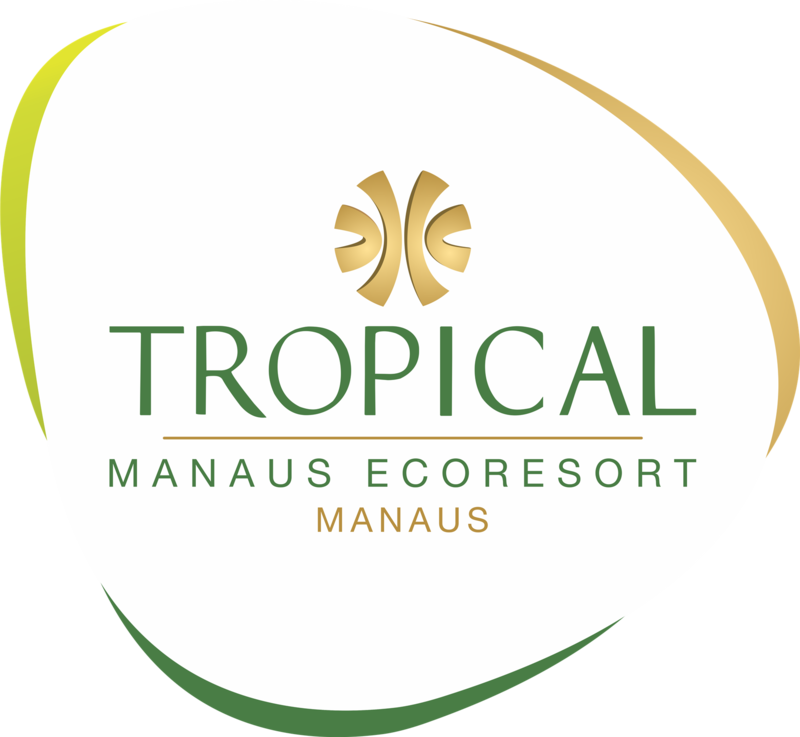 Conveniently located next to the hotel reception and lobby, open from 9:00 am to midnight daily, Tropical Manaus Ecoresort's Tropical Lobby Bar offers snacks and drinks. It is an ideal place to relax and have a cocktail with live piano music. Savor Brazilian cuisine at the most luxurious hotel in Brazil, the Tropical Manaus Ecoresort, in the Amazon Rainforest. Guests can choose from a variety of dining options, including delicious Brazilian or international food. With a buffet and à la carte service for 180 guests, this Tropical Manaus Ecoresort restaurant offers specialties of Brazilian cuisine as well as international dishes. Opening hours: from 06:00 a.m. to 10:00 a.m. for breakfast (daily), from noon to 3:00 p.m. for buffet lunch or Chef's suggestion from Monday to Friday and from 12:30 a.m. to 15:00 on Saturdays, Sundays and holidays from 19:00 to 23:00 for daily dining.